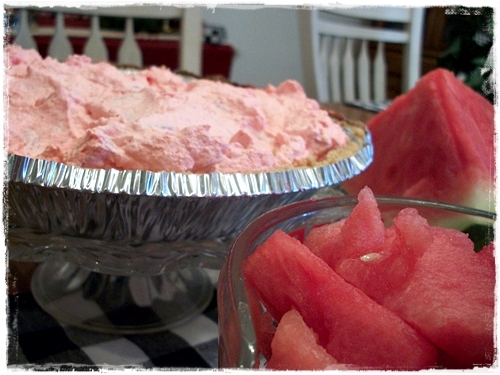 CREAMY WATERMELON PIE recipe I saw in THE COUNTRY DOOR catalog. So light and fluffy and......PINK. It's one of those "get outa town" tastes...at least for me. 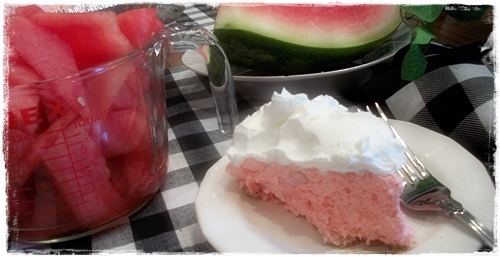 Watermelon just doesn't seem to "go" in a PIE but, it is pretty darn good. 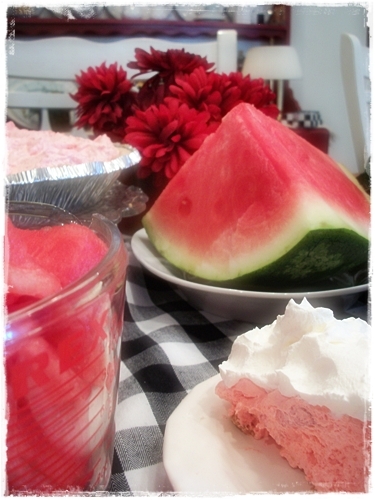 If you like WATERMELON, you will absolutely LUV this pie. I used a store-bought GRAHAM CRACKER CRUST and it was delicious. 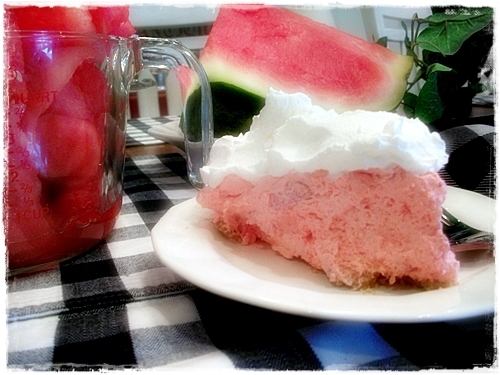 Mr. Sweet especially likes WATERMELON so he is lovin' this pie. OUT. OF. THIS. WORLD. good, too. Strawberries being MY favorite....yep, I'm making it next. Oh yum! That looks delicious! Bj, This looks so interesting. I am with you, I probably would go for the same recipe except using strawberries. I love me some watermelon but I think I will stick to the juicy, drip down you face way of eating it. I have to say a pie didn't wound very nice at all, but I trust you... I may try, or just stick with it au naturel or in ice cream. But it does sound intriguing - and now I'm thinking cheesecake? Trifle? I love watermelon, plus I like anything that is pink and fluffy looking so I would love it I'm sure. The husband doesn't like watermelon so much, though, so I would end up eating the whole pie myself. Never heard of Watermellon Pie! 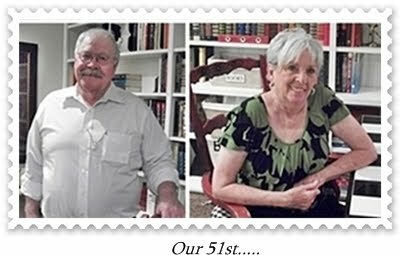 Another first, for this Olden Gal. I never even heard of watermelon pie! That looks so refreshing BJ! The cubes of watermelon are a twist. Sounds intriguing and looks so gorgeous and fluffy. Um Yum! I want a slice. Pink, Pretty and Delicious. What more could a girl want? Gotta try this one... is there any left for me? I think I would love the strawberry also:) Have a blessed day dear BJ, HUGS! Good morning bj, I have made a similar pie but this is a first for me. It look so pretty in pink and looks delicious too. 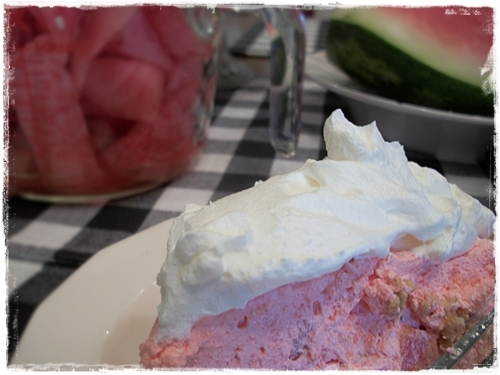 Watermellon pie is sure different. Only you would share this pie HA! 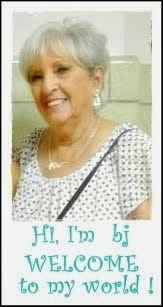 My friend Bobbie from CA is still sleeping this am so yay! a bit of time to visit. She flies home on Monday. 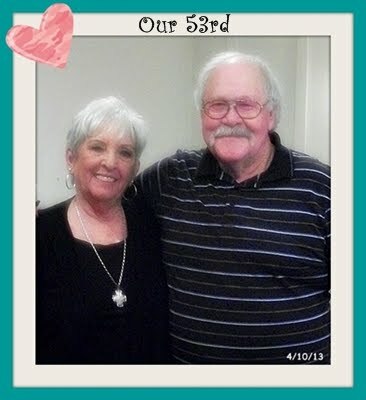 We are having a great time together. Oh my oh my...I would love that for breakfast right now. Your pictures are so pretty...I do love watermelon! WOW that looks so refreshing and delish! Watermelon is my favorite. I will have to give this a try. Looks yummmmy! never heard of it. sounds and looks great. I will try it! This looks so YuMMy!!! Thanks for the recipe and for having "Mr. Sweet" taste test for all of us! This looks delicious! Too bad I don't live next door! Ha, ha, ha! I have never tasted watermelon pie. Yours looks so light and cool and refreshing and must be the perfect dessert for these long hot August days! Wow. I've never heard of watermelon pie. This sounds interesting. ...visiting from Your Sunday Best. 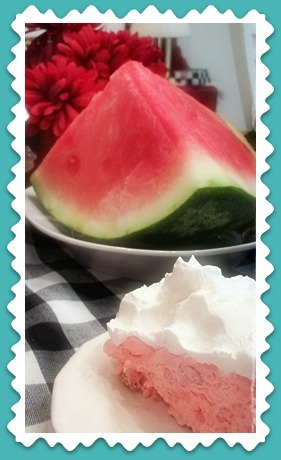 Oh, boy...Your watermelon pie looks delicious...I bet your sweet hubby loved it! I hope you have a great new week, bj! Oh my this looks scrumptious! 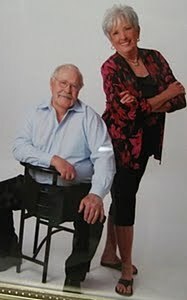 Love your images too... Thank you for sharing on WTS#44! This caught my attention when i read "w""watermelon pie!!?" Until i read the recipe! This really look something so delicious! 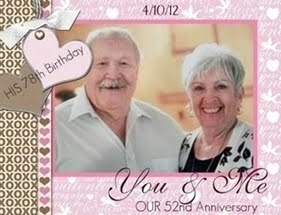 I hope you could link up at my link party still happening today! Will be pinning this as one of my must try!